You know how you go into an antique shop and spot something and think, "I want that but I have no idea why." Then you go home without it and it haunts you. So weeks later you go back and hope it's still there. 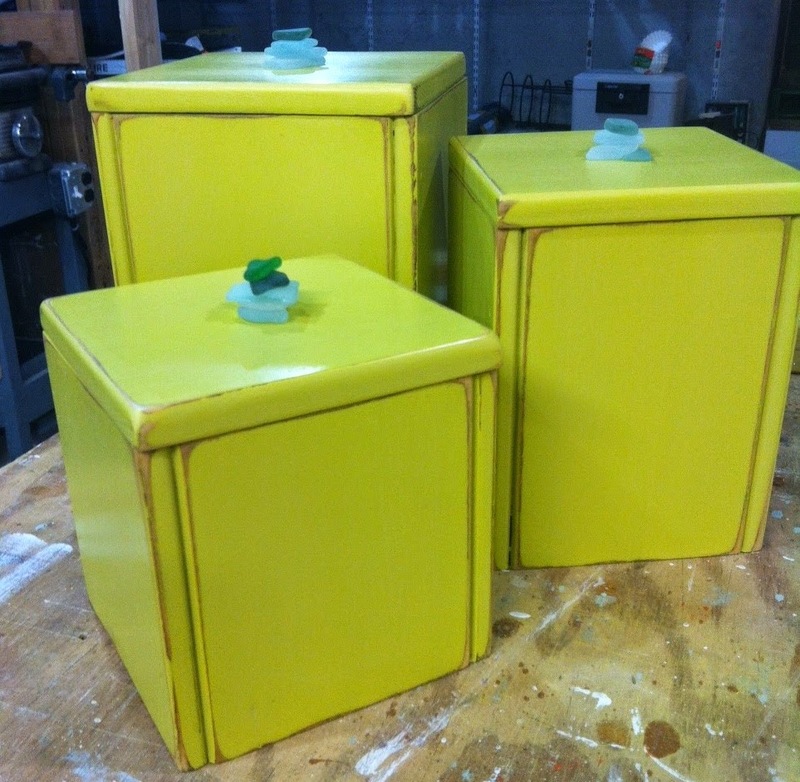 Well, it was my lucky day because this set of three wooden boxes that I just had to have was still there. 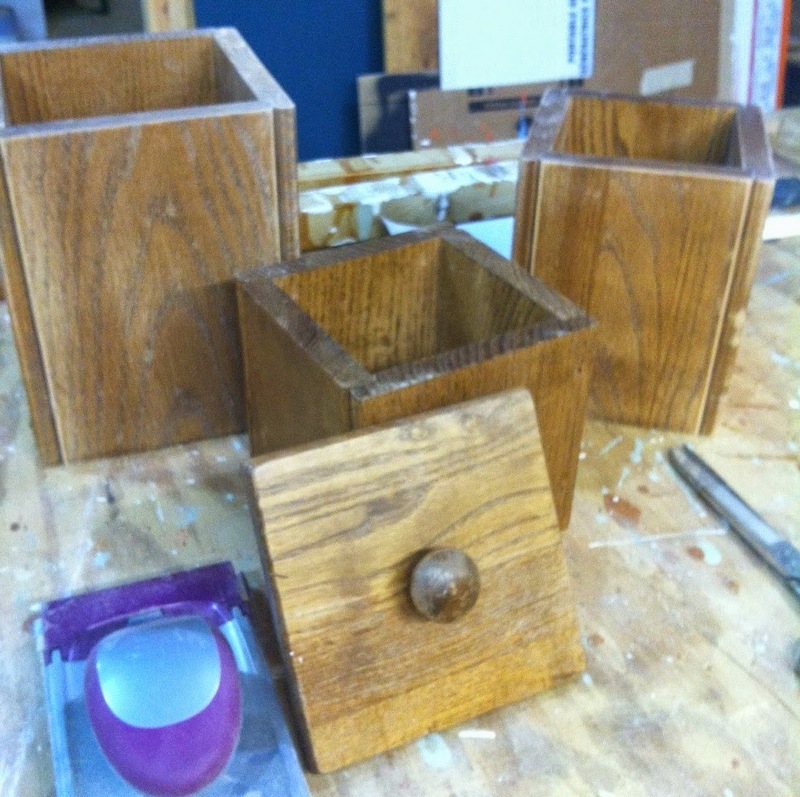 Here's my set of wooden boxes -- okay, truth be told, they are an old canister set. But they are solid wood and have such potential!